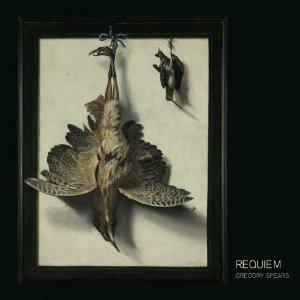 GREGORY SPEARS: “Requiem’’ (New Amsterdam, CD) Gregory Spears’s “Requiem’’ is some of the most beautifully unsettling music to appear in recent memory. Originally commissioned to accompany a dance by choreographer Christopher Williams, the piece has a hybrid text that mixes bits of the standard Latin Requiem sequence with poems in French and the Celtic language of Breton. It’s part fairy tale, part prayer for the dead. The music is a fusion as well. Scored for an unusual instrumental ensemble - recorder, chimes, harps, organ, and viola - and six voices, the music sounds like a Renaissance madrigal remixed for the postminimalist age. The vocal lines swirl like high-flying birds - they don’t harmonize so much as spin perilously in and out of each other’s orbit. The harmonies in the instrumental ensemble move slowly, close to stasis, as if trying to drag the voices out of the ether and down to earth. It’s hard to know what to call this music, though it must be a challenge to perform, and the musicians on this recording do exemplary work. It is harder still to explain the cold shiver it induces. Perhaps it’s due to all the space in the music. “Requiem’’ does not work by overwhelming a listener; a simple chord from a harp, a piercing entrance by a soprano, or a simple change from major to minor each carry an outsize emotional charge. Critic Jeremy Eichler recommends upcoming performances, including: Boston Symphony Orchestra - Bramwell Tovey replaces Riccardo Chailly to lead the BSO, the Tanglewood Festival Chorus, and vocal soloists (Carolyn Sampson, Camilla Tilling, and John Tessier) in Mendelssohn’s Symphony No. 2, “Lobgesang.’’ Jan. 26 - Jan. 31, Symphony Hall. The difference between Kurt Sanderling and Erich Leinsdorf is black-and-white — or it would be if this ICA Classics DVD weren’t in color. On the podium, Sanderling (who died in September, two days short of his 99th birthday) resembles a deftly dancing walrus — Pierre Monteux without the mustache. He slashes away with his baton as if he were auditioning for an Errol Flynn movie. 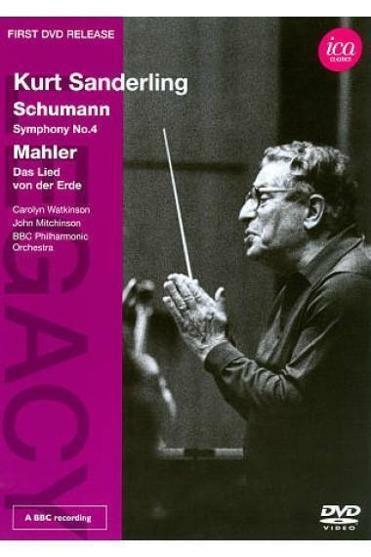 This Schumann Fourth (from 1988) opens with a kind of sigh, and it has more sweep than Leinsdorf’s reading, and more of a sense of tension and release. Yet it doesn’t necessarily build to a bigger effect. 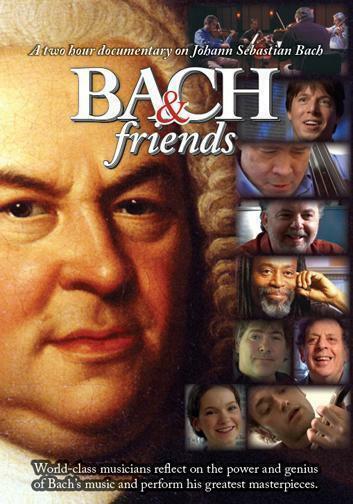 If you didn’t already believe that Johann Sebastian Bach is the greatest composer who ever wrote on planet Earth, you probably will after viewing this loving, informative, and insightful documentary. Director Michael Lawrence (he also edited and produced) conducted in-depth and surprisingly intimate interviews with an impressive array of Bach interpreters: violinists Joshua Bell and Hilary Hahn; composer Philip Glass; pianists Mike Hawley and Simone Dinnerstein; cellists Matt Haimovitz and Zuill Bailey; the Emerson Quartet; and jazz musician Bobby McFerrin, to name a few. The conversations appear in accessible bite-size pieces, artfully interspersed with intense excerpts of excellent sound quality from the speakers’ performances. The editing has a natural, lively rhythm — wisely Lawrence doesn’t use a narrator — that avoids platitudes and poetically illustrates the musicians’ ideas. Has there ever been a conductor stranger to watch than Erich Leinsdorf? He’s Mr. Minimal on the podium, and Mr. Phlegmatic, and Mr. Eternally Perplexed. He can look at his players as if they were Professor Hill’s kids from ‘‘The Music Man’’ and he were trying not to listen. When he holds his elbows out and lets his wrists and hands dangle, he’s like a clockwork doll. There are times on this black-and-white ICA Classics DVD when his hands seem to be doing the fish. 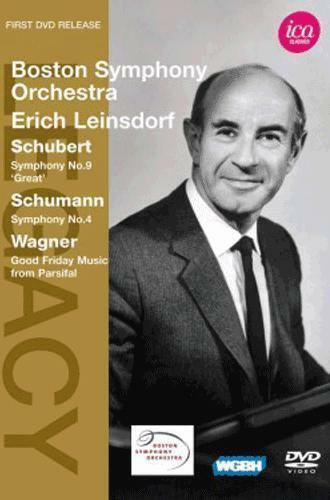 The Schubert and Schumann symphonies were shot in Sanders Theatre in 1963 and 1962, respectively, back when the BSO was a regular visitor to Harvard; the Good FridayMusic from Wagner’s ‘‘Parsifal’’ was shot in 1964 at Symphony Hall. Conducting with no baton and no score, Leinsdorf builds these performances as if he were working with LEGO blocks: some precision oboe here, some pellucid counterpoint there. You’re reminded that he was born in Vienna during the rise of the Second Viennese School; these are clear-headed readings right out of the Wiener Werkstätte. The one oddity is the funereal tempo for the second movement of the Schumann, which is marked ‘‘Romanze.’’ Yet it builds into something like passion. And Leinsdorf always leaves you wondering whether what he has created is less than the sum of its parts or more. The Good Friday Music seems an afterthought. Leinsdorf was a renowned Wagnerian who conducted ‘‘Parsifal’’ 19 times at the Met, but this performance has no portent, only reverence.